Elemental Beverage has launched three single-origin coffees sourced from Burundi, Ethiopia and Colombia. Credit: Elemental Beverage Company. 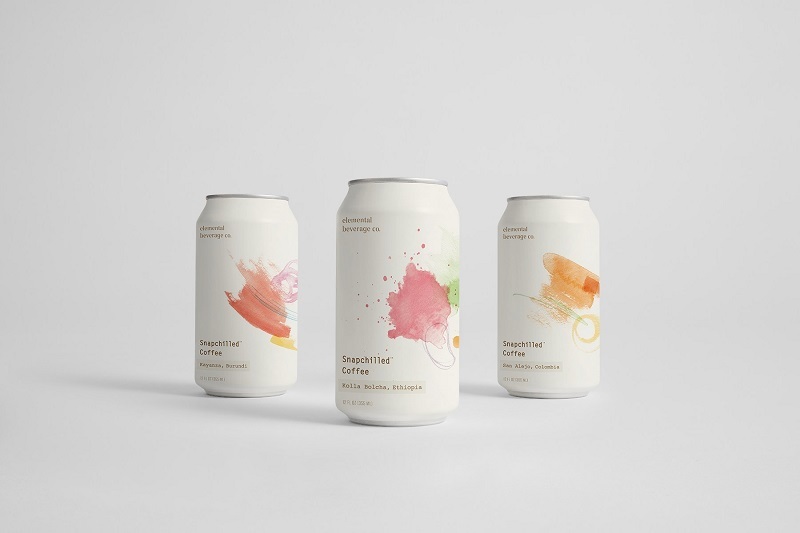 Called Snapchill, the technology was developed by Massachusetts Institute of Technology (MIT) graduate and Elemental Beverage co-founder David Dussault. The technique combines thermodynamics with heat exchange technology to quickly cool liquids to temperatures as low as -10⁰F (-23⁰C). Snapchill is used for three of Elemental Beverage’s single-origin coffees, which are rated 85 points or higher on the Coffee Quality Institute’s Q Grading Scale. The coffee is sourced from Kayanza (Burundi), Kolla Bolcha (Ethiopia) and San Alejo (Colombia), professionally brewed and immediately chilled. They are sold in a six-pack of 12oz cans. Elemental Snapchilled Coffee can be bought online for $39.95, with free shipping in the US. The company has also introduced a limited supply offering (LSO) of single-origin coffees rated 90 points or higher. The first of these LSOs is made with Ninety Plus Estates’ Founder’s Selection coffee and launched in a 750ml bottle. Future LSO offerings will be available online and will rotate quarterly. In addition, Elemental Beverage has launched a commercial-grade Snapchiller, which enables restaurants, cafés and bars to access the Snapchill technology on-demand. The Snapchiller has been tested by speciality coffee pioneer George Howell at two of his Boston-based cafés for the past year. Elemental Beverage launched its ready-to-drink (RTD) Snapchilled Coffees and the Snapchiller machine during the Specialty Coffee Association’s 2019 Specialty Coffee Expo held in Boston, Massachusetts, from 11-14 April. Elemental Beverage CEO Jonathan Chen said: “We’re excited to offer our customers delicious, chilled coffee with no compromise on taste or flavour that can only be extracted when coffee is first hot brewed.